To run power into a gun safe shouldn’t be a task from hell. So, there is no need to sweat over here. It’s actually a do-it-yourself proposition. For the most part, you will need an electric outlet/power cord for all the power you need. As such, few of the modern-day gun safes come pre-installed with electric outlets at the back to hook up a light or dehumidifier or to charge batteries. If an electric outlet doesn’t exist on your safe, you can attach one for yourself to run power into your gun safe. To make your life easier some gun safe manufacturers sell special gun safe power kits which include necessary cords, electrical outlets, usb ports for charging mobile devices and so on. 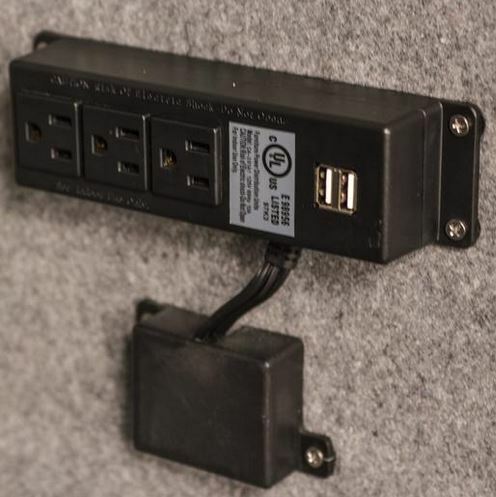 Of course, you would need a hole somewhere on the back of the safe for the electric cord to pass through the safe. Fortunately, most of the gun safes out there already come with a power access hole. So, look out for the pre-cut hole on the back side of the safe. The hole should be big enough only for the wire. And, if there’s no hole, you will have to drill one hole into the safe to make way for the cord. The thing to note over here is that drilling a hole in the safe is rather difficult (yet this is a safe, not a wooden box, right?). Moreover, it can compromise a fireproof safe. So, you might want to consider some fire-resistant chalking around the hole and cord. Another thing worth considering over here is the product’s warranty. It pays to call the gun safe manufacturer and check if drilling a hole would void the warranty or not. Depending on what you hear from them, you can take the next course of action. So, it helps to double check, if needed, to ensure that you don’t end up voiding the warranty on your safe. Also, one shouldn’t drill a hole bigger than it’s necessary for the task. Only once it’s determined safe to drill a hole, you can go ahead and drill the hole and then configure the network to start the supply of power to the safe. Previous Article Gun safe locks types. How gun safe locks work? Next Article Is it safe that many people own guns in US?